Got to do brush lettering again! One of the plans I had for this week was to head to Hangaram Mun Ko (한가람문고) at the Express Bus Terminal (고속터미널). I found out in recent times that Hangaram Mun Ko stocks a variety of art supplies from pens to papers. Since I had left both my sketchbook and calligraphy pens in Singapore, I was pretty keen to get a set of supply for myself so that I can still do some brush lettering while in Seoul. I was pretty happy to be able to purchase both of these supplies from the shop! Needless to say, I was pretty excited to do some brush lettering again. For now, I have yet to get used to these pens and am still unable to control the pressure I’m supposed to apply when I use them. Regardless, it’s pretty fun to write the words over and over again in an attempt to get the hang of the pens! 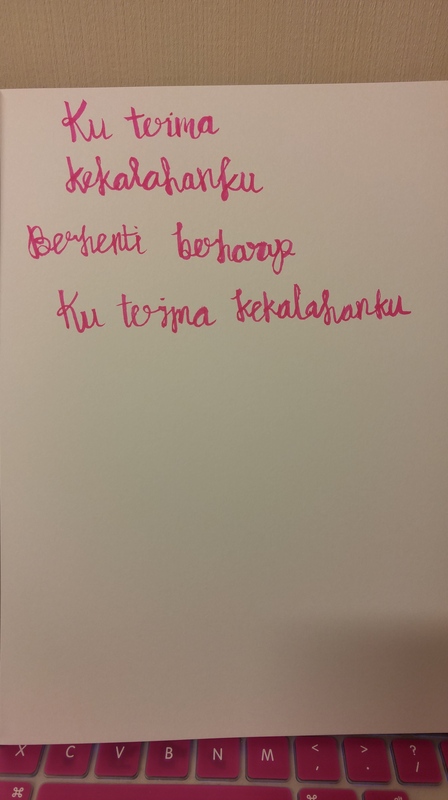 I started by trying to write some random words and phrases that came to mind. 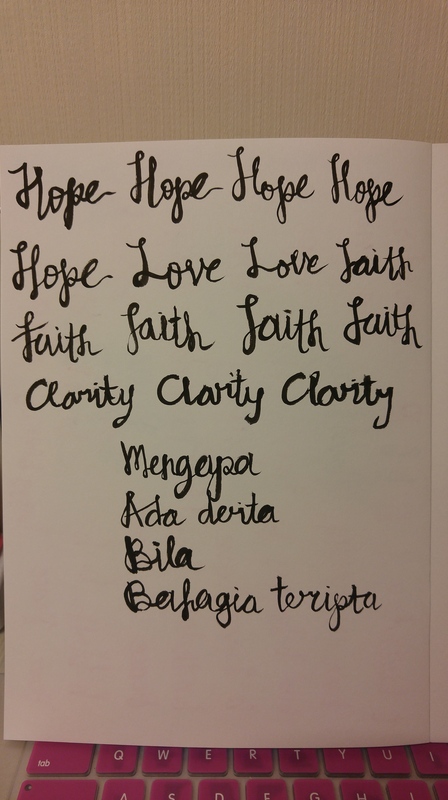 That is, until I started listening to an old song by an Indonesian band and got inspired to brush letter some of the phrases from the lyrics that caught my attention. Pretty obvious which ones came from the lyrics. Before I knew it, one hour had passed since I started to doodle on my sketchbook! My brush lettering work is still pretty ugly and clumsy from the lack of practice. Nevertheless, those one hour spent on this was so therapeutic! 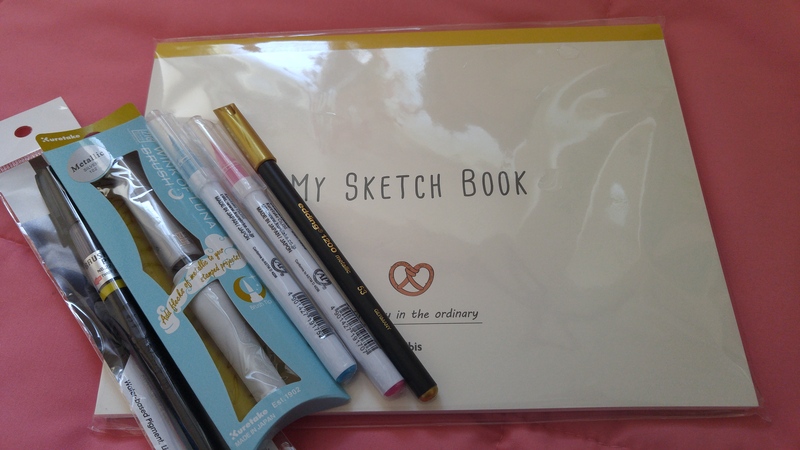 I’m glad I fought over the exhaustion from the lack of sleep (been sleeping practically 2 hours every night since Sunday due to assignments and readings) and made my way to buy these pens and the sketchbook. At least now, I can doodle during those times when I need a break from my readings. Speaking of readings… Why does the time passes by so fast when one is engaged in mindless things like these but not when you’re supposed to complete your readings? 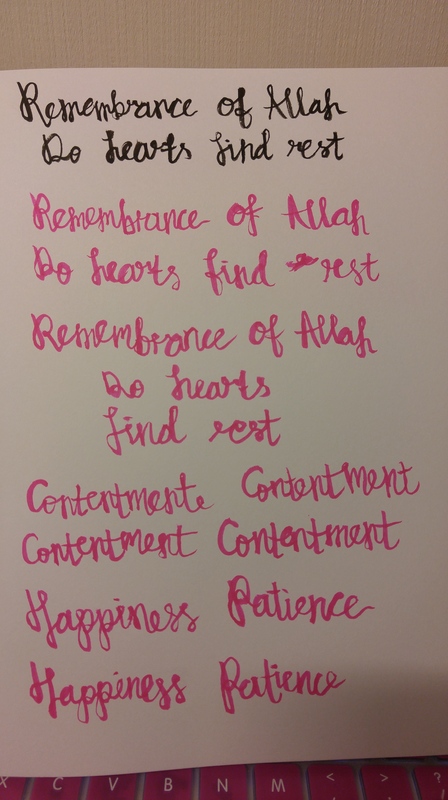 Categories: Time fillers | Tags: Brush lettering, Calligraphy | Permalink.